In today’s music scene, many feel the need to have some kind of gimmick in an effort to have a defining trait that separates one from the rest. Whether it be technicality, an intentional lack of technicality, edgy lyrics, or some other crutch, bands often feel like they’re compensating for a lack of substance. Albany, NY natives Aficionado subscribe to no such mentality. Aficionado’s latest effort, a self-titled full length release on July 26th through No Sleep Records, maintains a less is more approach with none of the pretentiousness that often goes hand in hand with such an attitude. It is difficult to classify Aficionado into one genre, but at its heart the group is rock and roll. The chord progressions and lead lines aren’t particularly impressive or unique, but still manage to feel refreshing. The band’s punk influence is clear but derivation from a standard punk attitude is abundant. A good bit of experimentation is sprinkled throughout the record, including numerous appearances of keys and a flute. However, it is important to note that the introduction of both the keys, and, even more impressively, the flute, isn’t forced at all; both instruments are utilized well and feel very natural. And, despite the old school approach, self-titled is a very modern record. The production is superb, the guitar tones are satisfyingly gritty yet clear, and the songwriting occasionally tips its hat to more recent trends (see: the last minute of "Confidence is Intimidating"). 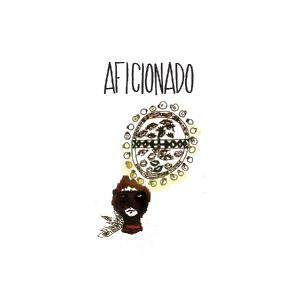 Aficionado’s vocals are perhaps their most defining characteristic, but I have been slow to discuss them because they bring up mixed feelings. Lead vocalist Nick Warchol is responsible for most of the record’s vocal presence, delivering his personal observations in a convincing manner. Nick is assisted by Laura Carrozza, who provides an airy counterpoint to Nick’s nasally voice. The two work very well together, though Laura’s presence is a bit less assertive in the mix. Finally, Travis Shettel of Piebald is featured on the track "Honesty". I honestly haven’t been so thrilled by a feature in a long time. Travis is true to form, and highlights Piebald’s influence on Aficionado. However, despite the fact that objectively the vocal delivery and the lyrics on Aficionado are at the very least well above average and easily enjoyable, Nick’s voice and approach is so similar to Adam Lazzara of Taking Back Sunday that I feel a bit uneasy listening to the record. Whether or not the resemblance is intentional, the similarity makes Aficionado feel like an Adam Lazzara side project, which is saddening as Aficionado is so much more. After a few spins the record becomes more familiar and the image of Adam singing is less persistent, but it is still definitely a hindrance to the record’s success. Though I wasn’t blown off my feet by Aficionado’s self-titled, it is highly enjoyable and a very honest record all the way through. With a bit of progression and some established familiarity to force away the Adam comparison, I am confident that Aficionado will deliver a truly impressive follow up to their self-titled.